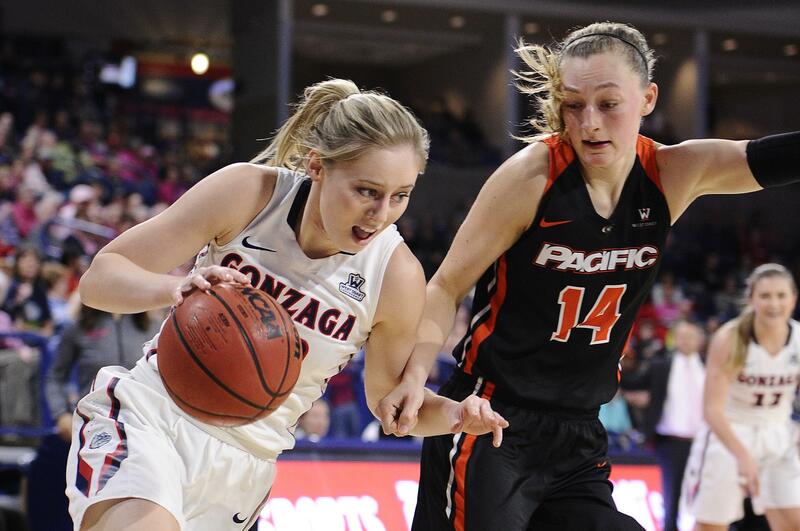 SAN BRUNO, Calif. – Gonzaga women’s basketball players Chandler Smith, Emma Stach and Katie Campbell were selected to the West Coast Conference’s all-academic team, the conference announced Wednesday. Smith, who is pursuing a master’s in business administration and has a grade-point average of 3.94, and Stach, with a 3.81 GPA in psychology, were selected to the all-academic team. Campbell, majoring in biology and carrying a 3.32 GPA, was selected honorable mention. Published: Feb. 21, 2018, 6:42 p.m.